Martin A. 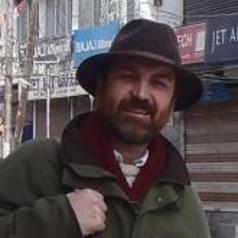 Mills is Senior Lecturer in Anthropology at the University of Aberdeen, Scotland and co-founder of the Scottish Centre for Himalayan Research. Author of Identity, Ritual and State in Tibetan Buddhism: The Foundations of Authority in Gelukpa Monasticism (Routledge 2003), his principal research focus is the anthropological study of Tibetan communities, in particular its religious and governmental institutions. Over the last twenty years, he has carried out fieldwork in Tibet, Ladakh, China, Northern India and Scotland. Prior to coming to Aberdeen, Martin Mills taught anthropology at the School of African and Asian Studies at the University of Sussex, and at the universities of St. Andrews and Edinburgh. In ethnographic terms, his primary research interest lies in the anthropology of Tibet and Tibetan-speaking areas, and in particular its religious and state life. Over the last two decades, this has involved a progression of research projects focused on the ceremonial nexuses of Tibetan monastic and state life. Such projects have involved the formulation of new ways in which modern ethnographers of Tibetan regions can integrate their work with textual specialists and indigenous scholars to create an historical anthropology of the region. On the theoretical front, his work has increasingly engaged with anthropological approaches to the reality of the state in Tibetan areas, and to questions of violence, perception and constitutional mythologies. Each of these are engaged with more central questions of how we understand authority and legitimacy, both in the Tibetan context and elsewhere. Mills is a member of parliamentary cross-party groups on Tibet and China in both Holyrood and Westminster. More recently, he have been carrying out research on Tibetan modes of protest. his personal blog on this can be found at www.tibetprotests.wordpress.com.